Taiwan's Sunflower Movement and Hong Kong's Umbrella Movement of 2014 belong to an unusual case of "eventful protests" for their large-scale and intensive participation as well as radical transformation in consequences, which require new conceptual tools to make sense of their trajectories. This talk by Professor Ming-Sho Ho from National Taiwan University will address one of the critical topics that is of interest to AI Research Cluster on Asian Civil Society: The links between local movements and transnational interconnections throughout Asia. 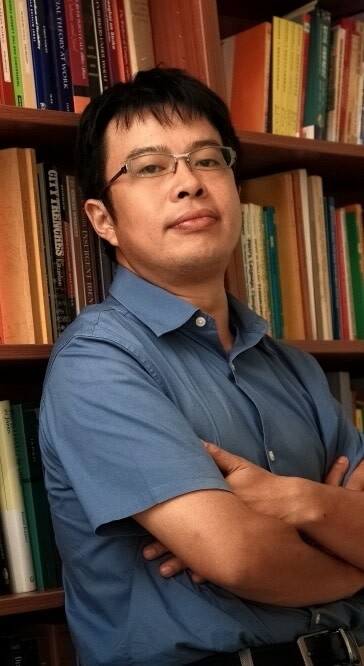 Professor Ho will explain the notion of "standoff" to understand the contentious interaction between protesters and the government. While these two incidents in Taiwan and Hong Kong are not so-called "leaderless" movements, sustained occupation will not be possible without voluntary and the on-the-spot strategic responses among grassroots participation. Theorized as "improvisation", the talk will also examine the functions as well as the limits of these bottom-up contributions. This event is sponsored by the Asia Institute Research Cluster on Asian Civil Society. Mingsho Ho is a professor in the Department of Sociology, National Taiwan University. He studies social movement, labour issues and the environmental problems. He has published Working Class Formation in Taiwan (Palgrave Macmillan, 2014) and has a forthcoming book “Challenging the Mandate of Heaven: Taiwan's Sunflower Movement and Hong Kong's Umbrella Movement” (Temple University Press).